Mike is a Principal at BCG. He is responsible for all of BCG's marketing efforts, and is based in the Boston, MA office. 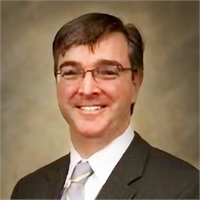 In June, 2011, BCG announced it had completed the first Buy-In transaction in the US, for which Mike was the lead consultant. Mike started his career with British Tire and Rubber based in London, England. He then joined KPMG in their retirement plan office in Boston, MA. After KPMG, he went to The Hartford where he worked with plan sponsors, advisors and consultants in the defined benefit retirement plan space. Mike left The Hartford in 2000 to form Business Consultants Group (BCG) which joined with Terminal Funding Co. in 2003 to form BCG Terminal Funding Company. Mike has over 20 years experience in the defined benefit retirement plan space, and is a frequent speaker on pension de-risking strategies at various regional and national conferences. He also participates in training webinars for clients and their participants. Mike is the one of the founders of The VIDA, a non-profit that builds schools and clean water systems for children and communities in Africa. Mike graduated from The Pennsylvania State University with a degree in Business. Mike is not affiliated with any insurance company as an agent.